Home Opinion Should Harry stay at Spurs or take England job? Should Harry stay at Spurs or take England job? Harry Redknapp’s been involved in football long enough to know that great opportunities are hard to come by. It’s taken him many years to reach the level he has, so should he risk throwing it all away? A look at previous England managers such as Eriksson, Keegan, Hoddle and McClaren proves that it’s hard or even impossible to recover your reputation. Its common knowledge that when top teams look for new managers they tend to look abroad; Capello, Mourinho, Ancelotti, Wenger – the list goes on. Daniel Levy fell into the trap when he appointed Juande Ramos, but hopefully he’s learned his lesson and we can be thankful that he appointed Redknapp when he did. Whether Harry stays or goes, his time at Spurs will be viewed as a success. Thanks largely to his guidance and relationship with the chairman, Tottenham now have a squad full of technically gifted individuals that can compete at the highest level. Although the Europa league was considered a hindrance, it’s been a fantastic experience for our youngsters and players such as Rose, Townsend and Carroll will now look to follow in Kyle Walkers footsteps. 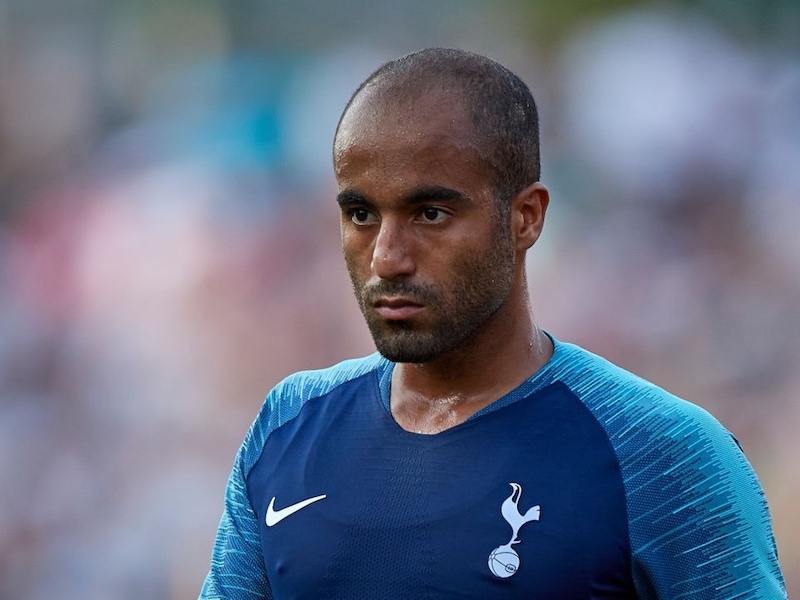 The summer signings of Friedel, Parker, and Adebayor, as well as the return of Ledley King have strengthened the first team and shown how effective this side can become. The recent North London derby highlighted how much the team has improved. In the past we would have lost our bottle and caved in. It’s refreshing to see a Spurs side battling for a win and other than Van Persie there wasn’t an Arsenal player that would walk into our line-up. With a new stadium on the agenda and plenty of funds to strengthen the squad, the immediate future looks bright for Spurs and there will be no shortage of applicants looking to work with this team. Harry has already declared that the England job is a ‘poisoned chalice’, so would he would he stand a better chance of success and trophies with Spurs? It may be that Harry sees the national job as his last challenge, but if a new manager comes in, makes a couple of key signings and really pushes for the title will Harry live in regret? Stay at Spurs Harry we on the up. if harry goes,get martin o,neil. first and foremost Harry will not get offered the England head Coach, no chance. However, we need to bring in Ancelloti this summer. Harry will go if the England job is offered and he has made no secret that he wants it. Good luck to him if he goes as he has done well for Spurs and his new signings of Friedel, Parker, and Adebayor have been excellent. There are some right idiots on these sites. Just think back 3 years an remember the mess we were in. Harry has dragged us out of that into being top 4 contenders. He knows football and he knows how to talk to players. If he took the England job he would get us to play above our ability – we still wouldn’t win anything though because we are crap. The way we idolise an honest grafter like Rooney just shows how deluded we are. Not fit to polish Charlton’s boot. It he stays at Spurs and gets us back in the CL then he can retire in a couple fo years as a hero and always be welcomed back for a pie and a pint. But I suppose it is hard to turn down the England job if offered – even though you know it must end in disaster. Agreed. I think they are mostly gooners/spammers having a pop at Redknapp Hoxton. England are just broke and Harry will have a job getting them performing. tottenham were broke when he took over if u remember. we picked up straight away, and what a smashing game his 1st in charge was ey?! Harry has done well as a Spurs boss. I cant believe that people are moaning. I get that sometimes he has made strange choices but havent they all. You must judge him on his achievments. We are competing without spending top brass. We have depth, we are exciting. Somefans think there is somethink mythical about a foreign boss. Some fans also think that the grass is greener. They have forgotten Ramos, Gross and Francis. For god sake, if you are negative now you are a moron and should support man utd. Things are looking good. Harry should take the England job….it is the biggest honour in English football. he deserves a go and would probably be good at it…lets face it, they cant be any more boring. Spurs will then evolve…with a new stadium….young international players …a strong board and great fans. We should be having fun at the moment. Hurry up and get the england job! Levy has always aimed at having a coach rather than a “manager” of the old order where they had full control. Harry has had a dismal affect in the transfers and his man management is bloody awful. We’d have johnson, lampard, ferdinand (both of em) and joe cole if Harry was left in charge. He has no youth policy, Levy had this under his wing too along with Sherwood and allen. I remember moderic was too small, couldn’t play CM according to Harry. We lost fourth spot last term largely to harry not having any tactical nouse, so we lost far too many games to lowly opposition. He didn’t like bale either! When we signed Sandro he said ” they tell me he’s a good player”! When we got VDV he said ” didn’t know about it, the chairman did all the work”. VDV is in the top 2 or 3 players we have at spurs and is embroiled in an argument with harry coz harry can’t stay away from the media. So when VDV goes and ade leaves due to wage demands we’ll be stuck with defoe! Any manager that makes dawson captain has certainly got my vote to move on. But before he does I’d like to see defoe, pav and ade playing on the right hand side of midfield. they’d get crucified then harry can start another argument with each of em in turn. I’m no fan of bent or bently but neither deserved to be ridiculed in the media harry fashion. You certainly can’t turn ya back on harry he’ll knife ya as soon as look at ya! I don’t mind managers being a bit tough ala fergie. But you rarely see him ridicule players in the media. In fact when Rooney had a spat fergie went out and bought players and united are on fire again. Sometimes managers have to listen to their players..I doubt harry will ever do that. He’s just a spiv imho who will hopefully leave spurs for england. I’m more concerned that we will also say goodbye to moders, VDV and Ade. I hold my head in dispare when i see idiots trying to compare defoe with VDV! One is a world class player the other couldn’t hit a barn door with a twevle gauge shotgun from two feet! Jeeze defoe is crap in his own position but doesn’t cop flak from harry..unreal! Harry is a club manager, a brilliant one. The England job is mainly travelling to watch different teams and players that you get to work with 4 / 5 times a year if you are lucky. Why would you chose that over managing Spurs at this time? Stay and be sucessful, Pierce can do a good job with England, Harry can be a God at Spurs ….. Stay!